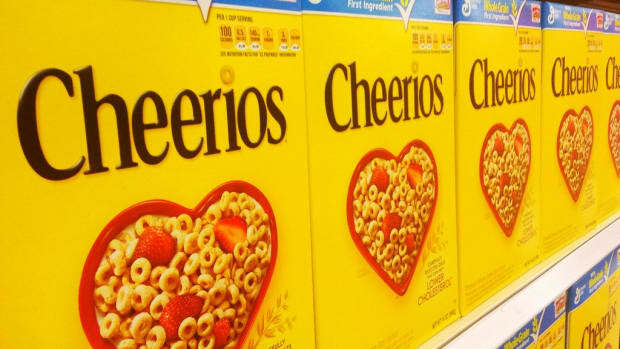 Late last year, research revealed that samples of the popular breakfast cereal favorite, Cheerios, were contaminated with glyphosate, the active ingredient in the popular Monsanto herbicide, Roundup. While General Mills maintains that Cheerios are not produced with genetically modified ingredients as stated on the label, the presence of the herbicide most often used with GMO crops is cause for concern, particularly when on the lookout for healthy cereal options to feed our families. Glyphosate is an undesirable ingredient to find in cereal for a number of reasons. Firstly, glyphosate was found to be a "probable human carcinogen" by the World Health Organization back in 2015 -- not really something you want floating around in your kids&apos; breakfast bowls. Glyphosate also has some equally scary effects on the environment: it has been linked to pollinator death, including population decline amongst Monarch butterflies and harm to the spatial learning and memory of honeybees, impairing their ability to pollinate plants and find food sources. When you choose GMO-free foods for your family, you&apos;re not supposed to have to worry about glyphosate: after all, GMO-free foods are not "Roundup ready" and don&apos;t resist glyphosate. However, Monsanto has encouraged farmers to spray glyphosate on certain crops, including oats--the main ingredient in Cheerios and many breakfast cereals--in order to dry them down before processing. 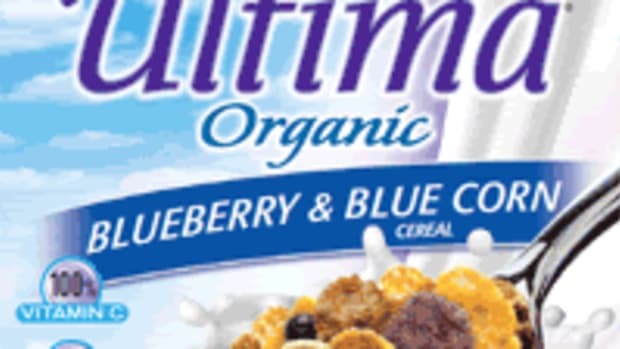 In other words: your favorite breakfast cereals may be GMO-free and still contain glyphosate. With this in mind, how are you supposed to find cereal brands that are transparent, sustainable, and healthful? 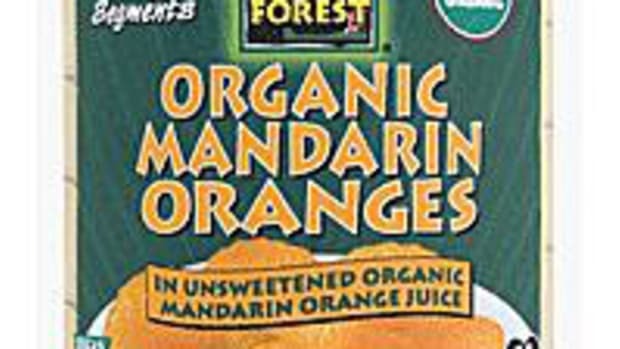 We took our cue from the Cornucopia Institute, the organic industry watchdog group known for its egg scorecard and work on carrageenan removal from organic products. 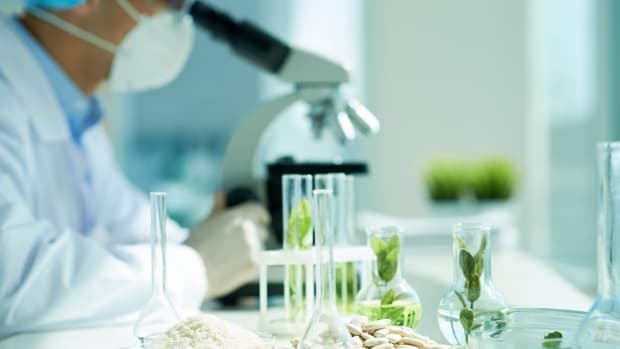 The organization has created a similar cereal scorecard, ranking brands based on seven criteria, including the organic status of the brand and company policy on dangerous chemicals like glyphosate. The top brands have a five-wheat score (and brands like Cheerios earn a measly one-wheat rating). “We can take the law into our own hands and reward the very best companies and protect our family simultaneously,” explains Cornucopia co-founder Mark Kastel. He recommends choosing only certified organic food to ensure that we don’t get tripped up by nasty GMOs, but there’s more to good food than weeding out the bad. “We are trying to differentiate between the true heroes in this industry, complying with the spirit and the letter of the law, and major brands we consider ‘scofflaws,’” explains Kastel. With that in mind, here are just a few cereal brands you can really trust. Nature&apos;s Path gets a five-wheat rating from the Cornucopia Institute thanks to its long-time commitment to organic foods. "Our goal is to be a trusted name for quality organic foods in every home - socially responsible, environmentally sustainable and financially viable," the company notes on its website. This company&apos;s line of cold breakfast cereals truly offers something for everyone, with more than 50 varieties. The Q&apos;ia line of flakes is made with sprouted grains and add-ins like fair trade cocoa powder or chia seeds; crispy rice, corn flakes, will remind you of classic favorites (without pesky herbicides). The Envirokidz line even offers fun boxes complete with illustrations showing your kids the inspiring partner your purchase is supporting: from saving Asian elephants in Sumatra to helping protect African chimpanzees. While this organic brand is owned by General Mills, the producer of Cheerios, Cascadian Farm&apos;s organic cereals are a horse of a different color entirely, and they&apos;re definitely a better choice than many other brands. What&apos;s more, since they&apos;re owned by a bigger company, they tend to be fairly easy to find. 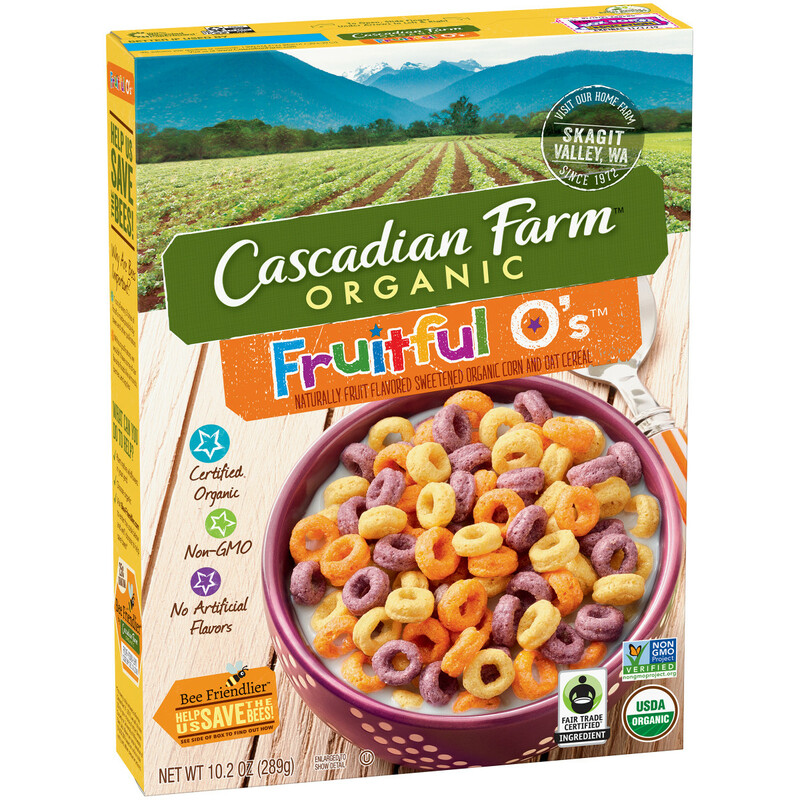 Cascadian Farm makes a number of cereals you can feel good about feeding your kids, including gluten-free Berry Vanilla Puffs that avoid the technicolor hues of some other kids&apos; cereal, and Cinnamon Crunch, Honey Nut Os, and Raisin Bran to rival even the most popular breakfast cereal brands. We already happily switched to Annie&apos;s from conventional with this line&apos;s delicious mac and cheese products, and Annie&apos;s cereals are nothing to scoff at either. 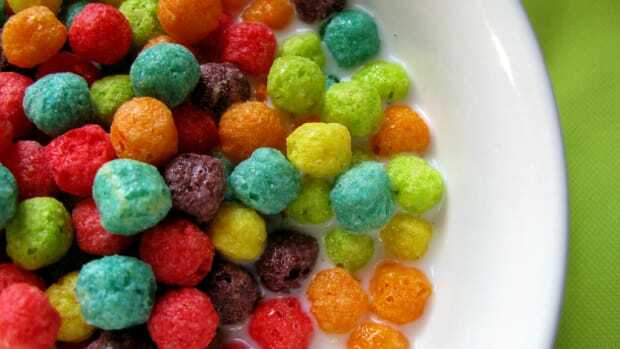 Frosted Oat Flakes are packed with whole grains (and devoid of icky high-fructose corn syrup); Berry Bunnies&apos; fun shapes and natural color are much more palatable than technicolor fruit cereals that you may have grown up with. 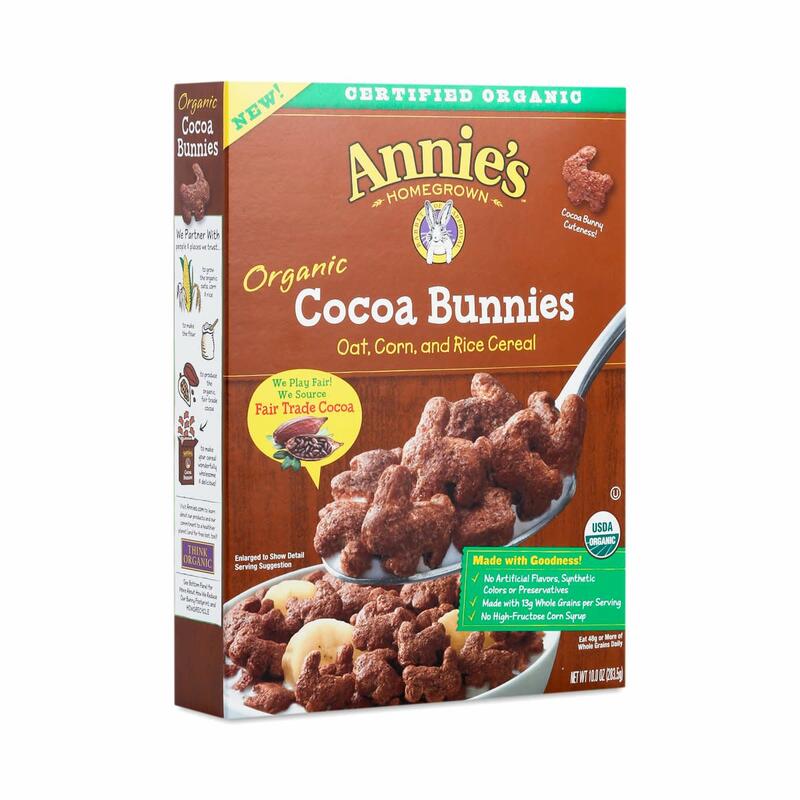 Cocoa Bunnies are perfect for those who like a bit of chocolate first thing in the morning, and since they contain 13 grams of whole grains and fair trade cocoa, you can feel good about serving them to your little ones. 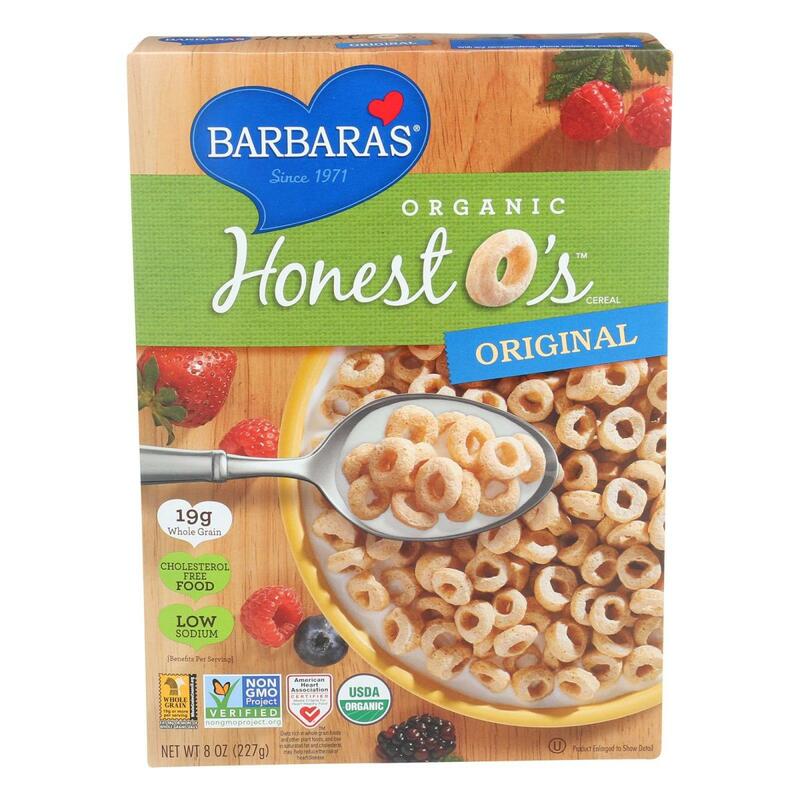 Barbara&apos;s produces several cereal lines, some of which are certified organic. We love this company&apos;s versions of classics, like Brown Rice Crisps, sweetened with organic fruit juice, Crunchy Honest O&apos;s, and Corn Flakes. Barbara&apos;s also makes an organic (and vegan!) Snackimals line of cereal, with fun animal shapes and great flavors like cinnamon, chocolate crisp, and vanilla blast. Founder Barbara Jaffe was a firm believer in real, natural food when she opened her first bakery in the Bay Area in 1971. "We carry on Barbara&apos;s commitment to create simple, wholesome, and delicious products with the most honest ingredients." 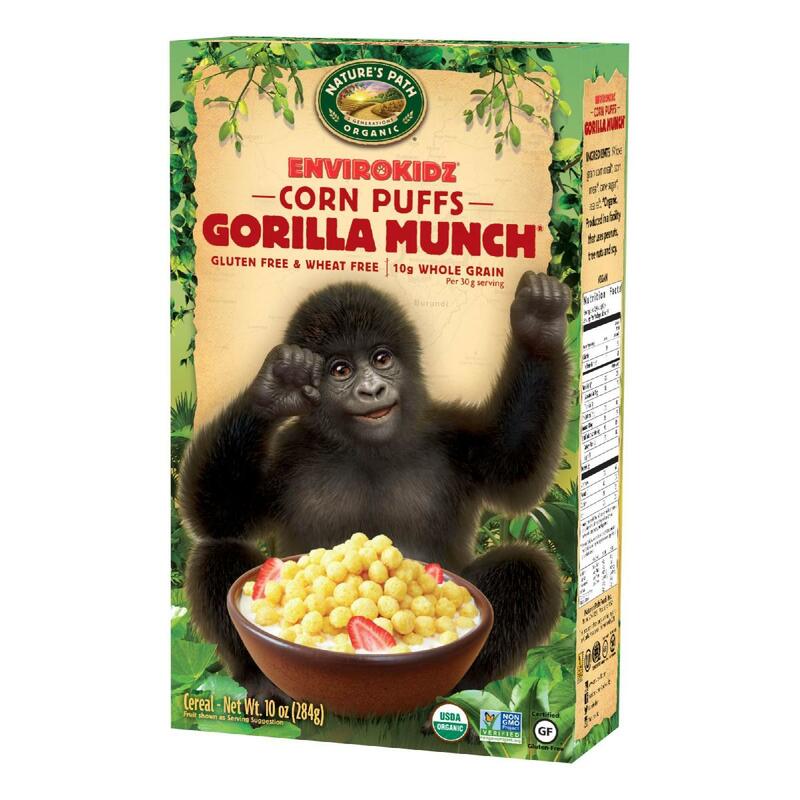 The brand also makes several GMO-free cereals that aren&apos;t certified organic, like a High Fiber Medley, Morning Pat Crunch, and the Puffins line -- encompassing several flavors like peanut butter, honey rice, and cinnamon. 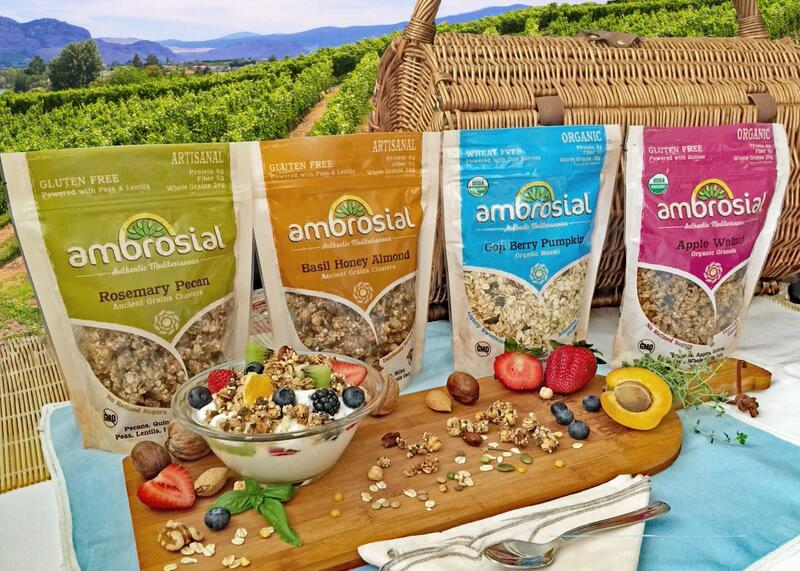 Ambrosial is a small, Brooklyn-based company selling gluten-free ancient grains granola clusters. The company is inspired by founder Hariclia A. Makoulis&apos; native Greek food culture, a whole foods mentality that she grew up with. The granolas, available in creative flavors like goji berry pumpkin, apple walnut, basil honey almond, or rosemary pecan, feature plant protein like peas and lentils, for a smaller carbon footprint and a more filling healthy cereal. The company also makes an effort to use minimal processing or no processing at all for an ingredient as close to nature as possible. Ambrosial is also involved in outreach and is currently developing partnerships with local non-profit organizations like Seeds In The Middle, a non-profit Brooklyn-based organization that aims to inspire students, schools and their communities to create sustainable healthy social change. This family-owned, Vermont-based granola company evolved out of co-founder Peter Vogel’s long-time interest in granola making. With 40 years of experience under his belt, it’s no wonder that his granola, available in a variety of flavors like chocolate pecan, maple fig, and apricot chai, is so popular. “Granola is a very crowded category,” explains co-owner Virginia Vogel. “There are hundreds of granolas on the market, but many do not have authentically ‘clean’ ingredients lists." 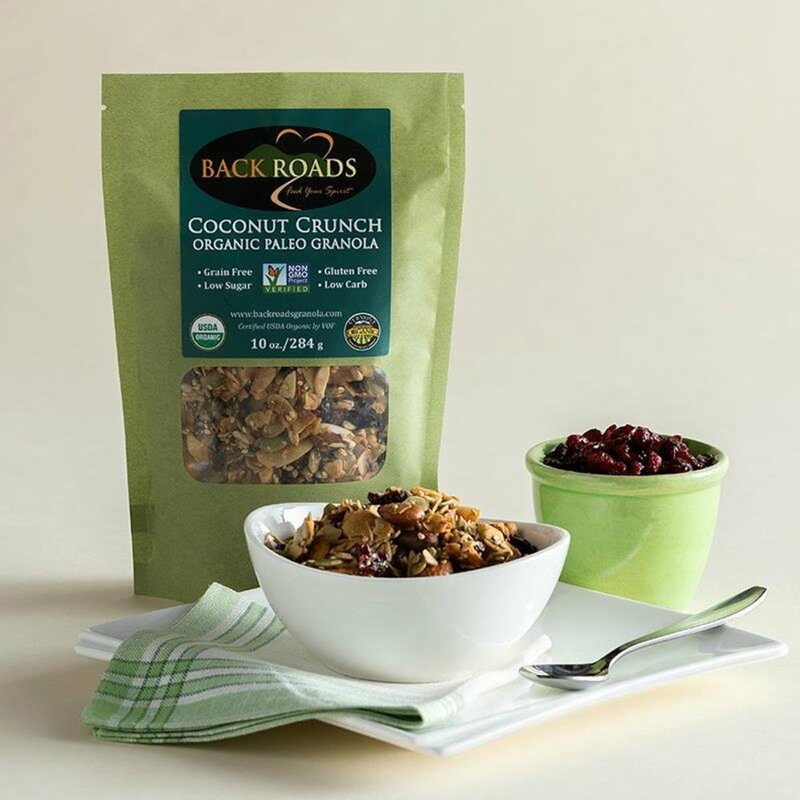 Back Roads Granola wants to change that: it boasts an organic, certified non-GMO Project Verified granola that&apos;s low in sugar and is salt- and additive-free. But perhaps the most important element of these cereals is their freshness. Go Raw, as its name suggests, is a raw food company offering bars, cookies, crisps, and a “guilt-free” granola in four flavors: apple cinnamon, raisin crunch, super simple, and coco crunch. 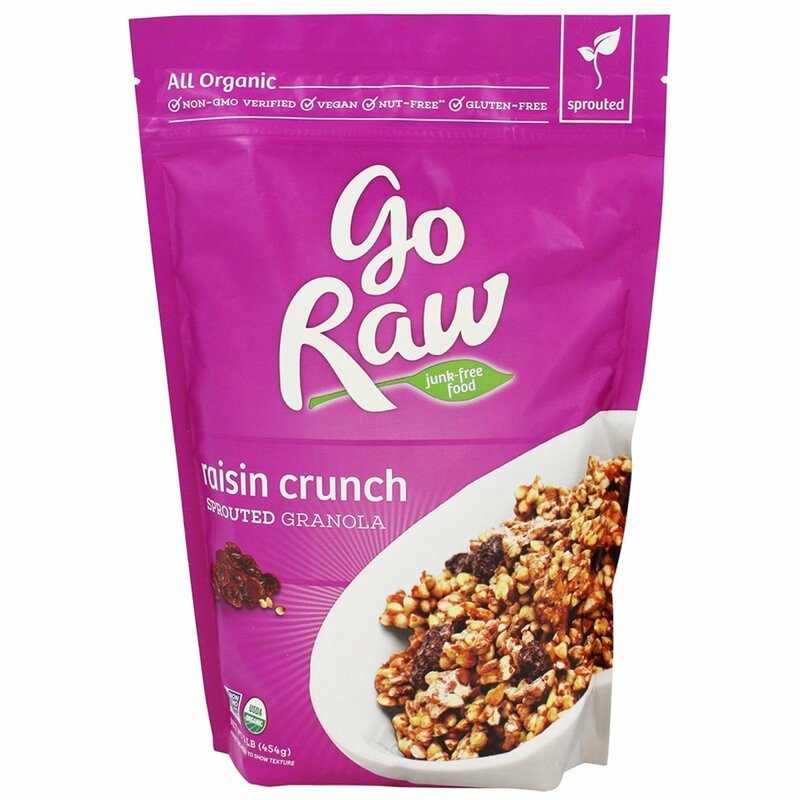 With ingredients sourced domestically when possible to be sure adherence to strict organic guidelines and an open-door policy when consumers have questions about a specific ingredient, Go Raw offers transparency, assured quality, and a delicious healthy cereal. Tierra Farm distributes certified organic nuts, fruits, and granola in New York State, boasting flavors ranging from apple cinnamon walnut to cherry almond to cinnamon maple nut. Head of sales Dan Laiosa notes that the company’s decision to start baking granola 15 years ago came about because of disappointment with the “natural” products on the market. While the recipe has evolved over the years -- and is now made in a state-of-the-art solar-powered facility, the granola is still made with gluten-free oats and organic maple syrup, and the company offers full transparency when it comes to certifications and ingredients. “Going forward, we are always striving to better ourselves and the community around us with sustainable practices and eco-consciousness,” says Laiosa. GrandyOats is a granola, trail mix, and hot cereal company founded on “hippie heritage” and friendship. The co-owners of the company began working together in April of 2000 after bonding over being the only two guys in their college class that drove VW buses. 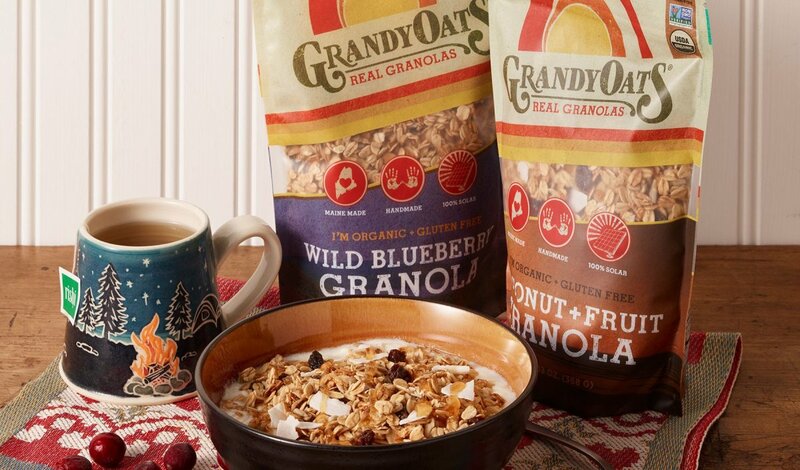 Today, the folks behind GrandyOats call themselves "real granolas," both for their real food cereal, made without preservatives and refined sugars, and their "crunchy granola" mindset. 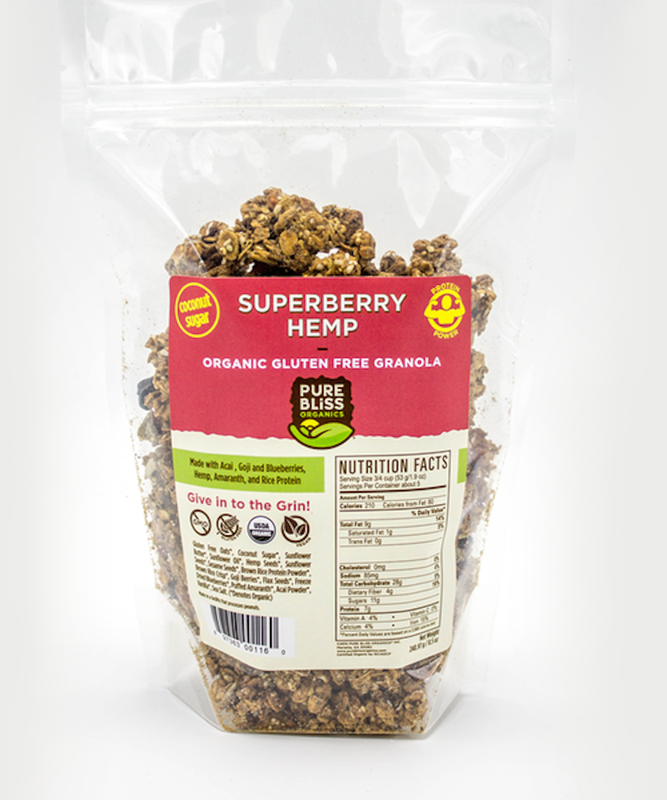 The company produces a wide range of granolas and healthy cereal options, including a grain-free granola made with organic nuts, coconut flakes, and seeds that’s paleo-friendly, and ever since 2015, these products have been made in a net-zero bakery -- the first in the country -- operated in a 100 percent solar-powered facility. 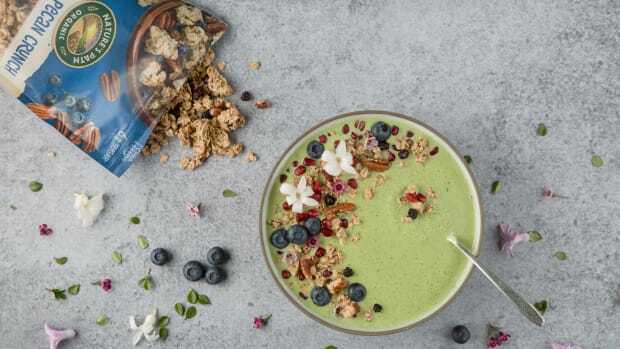 Despite their super clean, "granola" principles, the founders still don&apos;t want to put down the competition, even if their cereals and products are less healthful than GrandyOats. These include “You don’t have to be related to have a family business,” and “Ripped jeans are cool. Spliced genes are not.” They&apos;re great ways to make choosing healthy cereal even more fun. Jon Morgan and Antonio Da Costa first got into the granola business in 2005, and ever since, they’ve been creating a healthy cereal that jives with their love of people, bhakti yoga, and the planet. 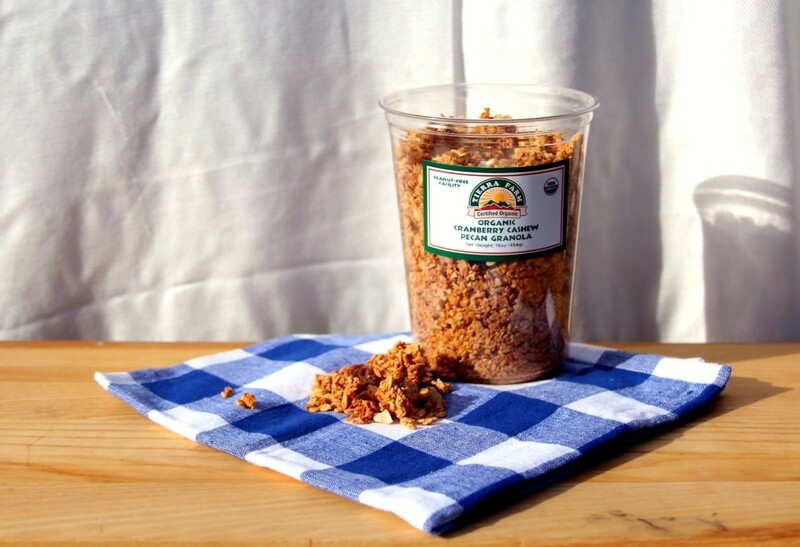 The organic granola produced by Pure Bliss is all about sustainable ingredients and quality products. Their granola options include protein-packed cashew butter granola, four flavors sweetened with coconut sugar, and even gluten-free options. Soul Sprout was born, at first, out of necessity: founder Shari Leidich was diagnosed with multiple sclerosis and was determined to find a way to restore her own health naturally. 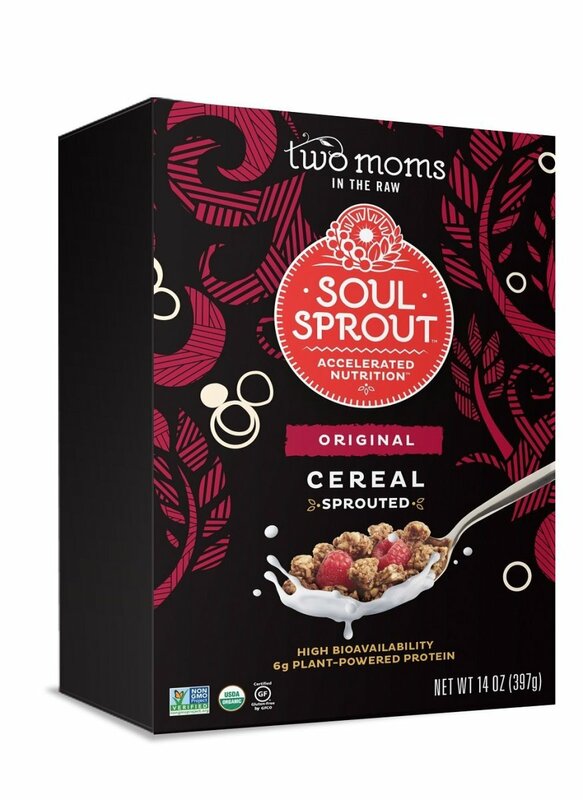 She created a line of foods, including Soul Sprout cereal, to do just that. 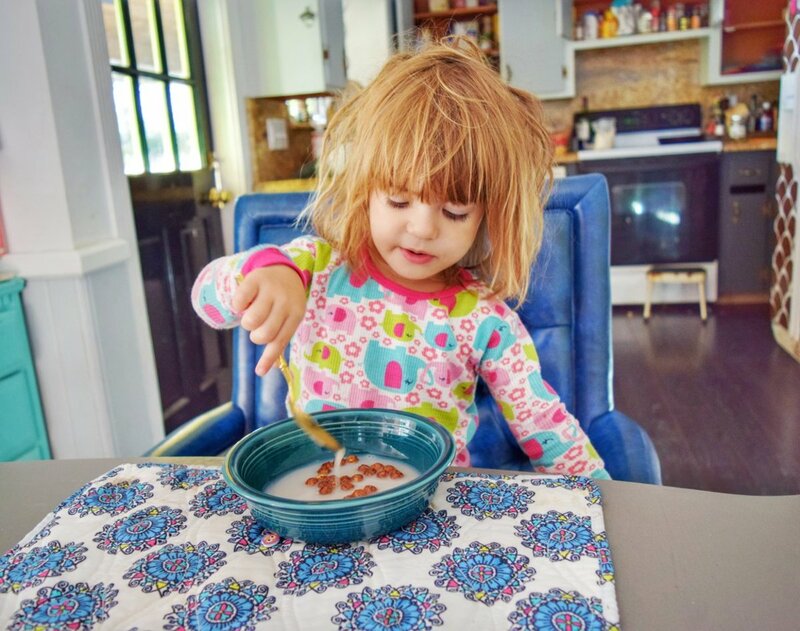 The healthy cereal is made with an assortment of organic ingredients including sprouted sunflower seeds, raisins, sprouted almonds, and cinnamon. The company furthers the sustainability of the product by using 100 percent recyclable boxes made from 100 percent recycled and post-consumer waste material, for a healthy cereal that&apos;s good for the planet and for your family. 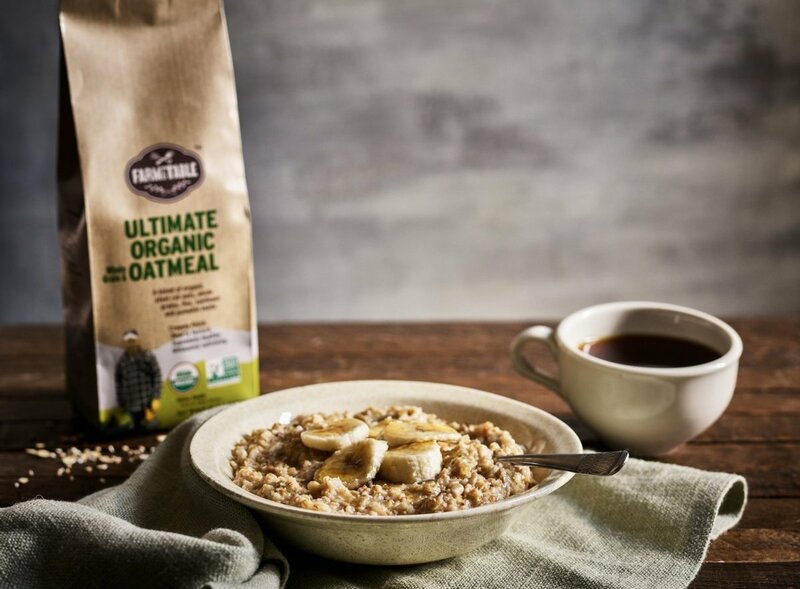 Farm to Table is an organic oatmeal producer creating healthy cereal blends that do away with excessive processing and highlight the natural goodness in the grains. Since he created those first healthy cereal blends at home, Farm to Table has grown in leaps and bounds. Today, it sells several blends including an ancient grain blend of spelt, Kamut, barley, rye, and flax seeds, some of which are served at Mercer Kitchen, Casa Lever, and even the Waldorf Astoria. “Insuring quality is all about starting at the right source," he says, and for Farm to Table, that begins with the farmer. 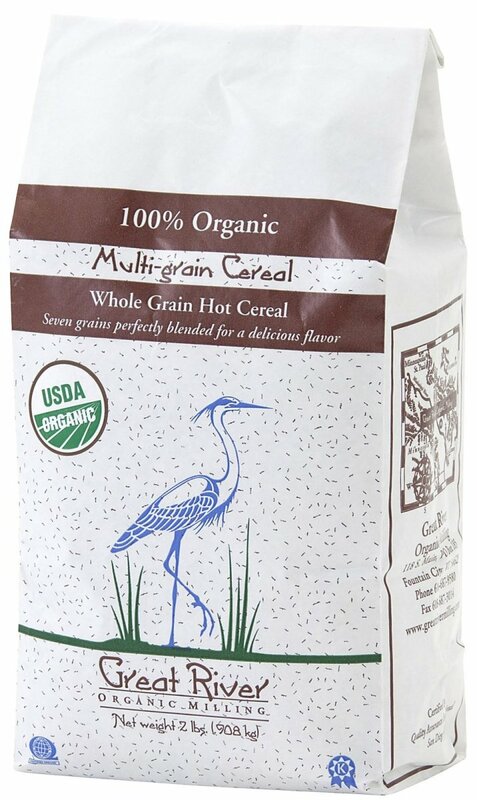 Great River Organic Milling is, as its name suggests, a milling company selling flours, whole grains, pancake mixes, and a line of four hot cereals, ranging from the highland medley featuring oats, barley, and rice, to the multi-grain mix, a blend of wheat, brown rice, corn, rye, oats, millet, and barley. The company takes pride in the relationships that it has developed with its farmers, about 90 percent of whom are based in the northern plains of the United States. As the company grows, it remains committed to maintaining these relationships and avoiding going through grain brokers at all costs. This ensures that the company can continue to provide the kind of transparency it prides itself on. Great River is always willing to go the extra mile, whether that means certifying its organic corn with the non-GMO Project as well, or answering a customer question about who farmed the oats in his oatmeal. “That&apos;s how this business was founded in 1975, that&apos;s the model that they established then, and the owner that bought this business back in 2003 has continued with that ethos and ethics, so that&apos;s simply what we want to continue with,” explains Adams. Choosing a cereal from this list is definitely a good place to start, but it’s not the only way to help ensure clean cereals earn more shelf space. 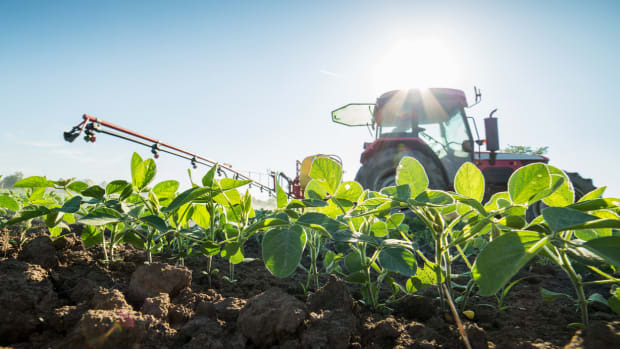 In the United States, acceptable levels of trace toxins and chemicals, including glyphosate, are set by the EPA, with influence from a number of legislative bodies, including the U.S. House Committee on Agriculture and the Senate Agriculture Committee. Other congressional committees, such as the US House Committee on Oversight and Government Reform and the U.S. House of Representatives Committee on Science, Space and Technology have recently begun examining some of the more high-profile elements of these decisions within the EPA. 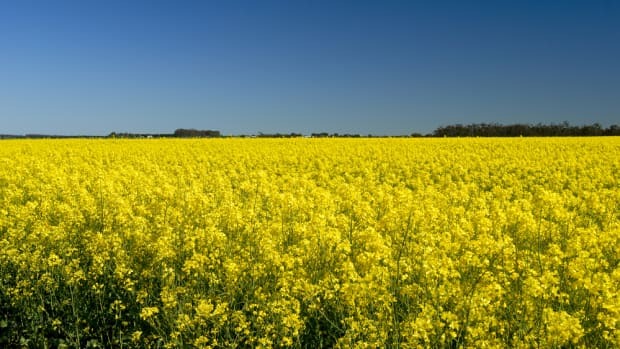 Lobby groups such as the Glyphosate Task Force, which unites Monsanto, Dow Agrosciences, Syngenta, and Barclay Chemicals, the Big Food Lobby, and trade association CropLife America put enormous pressure on government bodies to regulate in favor of large agrochemical groups, thus making it even more difficult to source healthful foods for your family. Boycott brands that are on the wrong side of the lobby, such as ConAgra, Kellogg’s, and General Mills, all of whom are associated with Monsanto seeds. Use an app like Buycott to make sure you know what you’re buying. Call your congressional representative and let them know that this issue matters to you: we want food devoid of any pesticides, even “trace” amounts. Sign a petition to ban systemic pesticide use in the US. Stay informed! Check in with us here at Organic Authority or with other reputable sources of information, including the Environmental Working Group, the Cornucopia Institute, and the Pesticide Action Network for updates and news on the state of pesticides in American food.